So, I love Madvillian but I never noticed that one of my favorite tracks “Accordion” was just sampled from an original by Daedelus called “Experience”, check the similarities below. Futuristic Hip Hop producer Dabrye has finally shown up this year with a mighty fine remix for King Midas Sound. This track took some time to grow on me because of the vox but the instrumental is pure gold since i’ve been on a huge dubstep kick. One track that i’ve wanted to post for some time now is this Rustie track but I always thought it might be too rowdy for the blog but the more I listen its not too rowdy, right? You need to at least let it play to around the 1:37 mark so you can hear this muted sped up vibraphone melody. This Rustie kid is pretty amazing and he looks super young though but so do I (blows on nails) I hope he keeps up with this sound. If you like this Rustie guy you should also check out Bar 9, Starkey, and the BBC famous Wiley, they’re all on this rowdy dubstep tip. Flying Lotus+Dabrye.. Mark E + Dabrye .. Deerhunter+Dabrye..
Scott. R you going to post your thoughts on the best albums of 2008? 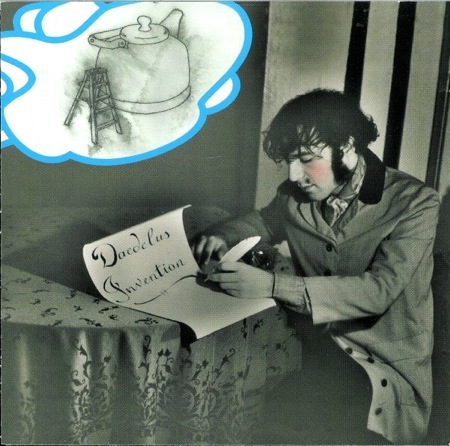 Daedelus was in the video for “Accordion”. i love madvillain! Almost as much as i love daedelus! Daedelus is one of the nicest guys I’ve talked to. I always have an instant geekout session about music, sampling, gear when I get to catch him in concert. He puts on a damn fine show, youtube some of em to see the crazyness with his midi device! I hope to get him booked down here again soon! MF Doom from Madvillian has doing some MCing over Daedelus tracks before also. Yeah, Rustie has caught my ear a few times. I’ve been digging Zomby – Spliff Dub (Rustie Remix), but it’s definitely more rowdy than what you usually post. No worries about Rustie being too rowdy, I quite like it. Hey, don’t know if you’ve heard it, but on the Fourtet remix of Accordion, that song by Daedelus is also sampled, but its the chimey bell part in the very beginning, instead of the original accordion sample.